Wow, what awesome link-ups we had last week. You are incredible bloggers and share great posts each week. Can't wait to see what you will be sharing this week. It's the last week in July, can you believe it? Time to share at Happiness Is Homemade. Summer time and time for fresh mangoes. We love mangoes at our house and having two trees in your yard is a bonus. In the summer I seem to put mangoes in everything, desserts, dinner meals, and even breakfast. I thought I would share some of my mango desserts with you so you too could enjoy this awesome fruit. Can you believe that this is the last week in July? It seems like every time I turn around, another month has gone by. Is it just me or are you experiencing the same thing? At least we can still party and check out all of those wonderful posts. Share your posts, check the features and show some love. Can you believe that we are in the last week of July? This summer is flying by. It is like the month begins and then it is time for it to be over. Yikes! Are you feeling the same way? It's Out of This World!!!! Well, the party is - of course. Calling awesome bloggers to share their posts at Over The Moon. I am and I love to make food that is not only healthy but tastes great. I also like to put different meats into lettuce leaves. So when I saw this recipe, it was a no brainer. I hope you are enjoying your July. Can you believe that in one more week it will be August. Yikes! Where has this summer gone? We are just going to have to enjoy each day! While you are enjoying, please stop by and share your favorite posts. Normally, I work with wood pieces that I either stain or paint. However, I found this side table which is not beautiful or even good wood, but solid and somehow it called to me. Maybe because it was so cheap - $1. At first, I wasn't sure what to do with it since it was laminate. I have used a lot of chalk paint on pieces, so thought why not? What harm could it do? Your posts are amazing and you make Wake Up Wednesday so special! You are all so talented. Thanks to everyone who joins me at Wake Up Wednesday! Welcome to this weeks Turn It Up Tuesday. You provided us with so many amazing posts last week that it was hard to pick only a few. I can't wait to see what you will be sharing this week. Looking forward to seeing what you will be sharing this week. Last we saw some amazing posts. Don't forget to check out the features. Welcome to Happiness Is Homemade and another great week of party fun and sharing. I am so excited to see your new posts. Don't forget to check out the features. Over the hump day and time for Wake Up Wednesday. You never cease to amaze me with all of your wonderful posts. Can't wait to see what you are up to this week. Welcome to a new week of Turn It Up Tuesday! Thank you so much for joining in the fun! And if you're new here...welcome! Feel free to share, share, share! Hope you are enjoying your summer. It is flying by so fast. 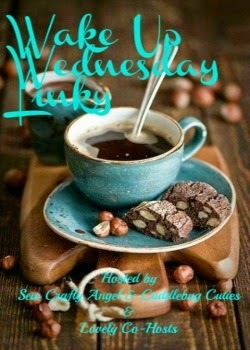 Please take a little time to stop by the Chain Linky CLIMB and join us and share a post. We would love to see what you are up to. WELCOME to the JULY 2016 CLIMB! 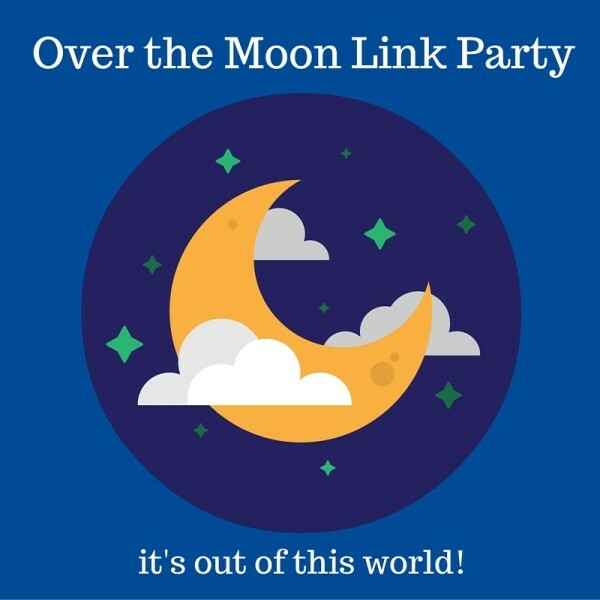 Over The Moon Party #31 is live and I hope you take sometime to share your projects, recipes, stories, etc. Can you believe that it is the middle of July already? Where has this summer gone? I hope you take a few minutes to stop by and share your posts. I love to garden, but sometimes I don't think my garden loves me back! Do you ever feel that way? You try and try to get your plants to do well and they just don't want to cooperate. I talk to them, I baby them and still no luck. They are OK, but not doing fabulous. Do your plants do this to you? I like to think I have a green thumb, but sometimes I think it is only half green! Hope everyone had a wonderful 4th of July break. Now it is party time and I can't wait to see what you will be sharing with us today. Welcome to a new week of Turn It Up Tuesday! Hope you all had an amazing 4th - and you got to spend time with family and loved ones. Thank you so much for joining in the fun! And if you're new here...welcome! Feel free to share, share, share! Sarah chose Best Quick Workouts for Traveling from The Bikini Experiment. "As we head into summer, I love this post about fitting in workouts while traveling. It can be easy to let personal fitness goals go by the wayside when traveling, but these tips are great!" Sarah chose 5 Ways to Work Out with Kids Around from You Signed Up for What? "One of my biggest challenges as a mom is how to workout AND feel like a responsible parent. This blog offers some great tips on how to keep fit and keep sane as a parent." Mari chose Writers Quote Wednesday - HAPPINESS from The Writer Next Door. "This week I'm going with Vashti's share in happiness, I think too many people look for outside sources to their life's peace." Mari chose Easy DIY Barnwood Hanging Planter from Flamingo Toes. "Always love great ways to display my plants so this was a great find for me this week." Stacey chose Peanut Butter Pretzel Granola Bars from Courtney's Cookbook. "These look wonderful and so quick and easy, which is just what I love about granola bars. I can't wait to make a batch. Thanks for sharing!" Stacey chose No Bake Samoa Cake from Don't Sweat the Recipe. "Oh this looks delicious! I love no bake desserts, especially in the summer. I can't wait to give these a try, and I will get them all, because my kids don't like coconut! Thanks for sharing!" Silvie chose Tropical Shrimp Ceviche from My Suburban Kitchen. "I love ceviche and I'm always looking for new ceviche recipes. This is one that I can't wait to try!" Silvie chose 100 Free Weight Loss Apps from Just 2 Sisters. "I had no idea that there were this many FREE weight loss apps. Now I just gotta pick one. Thanks for putting together such a great list Michele!" Tina chose DIY Mini Marbled Painted Pots from A Pretty Fix. "I love these marbled painted pots.They look amazing ,so cool.Great tutorial too. Thanks for sharing your creation with us." Tina chose DIY Tulle Fairy Lights from Saw It, Pinned It, Did It! "What a pretty and clever idea.Great for a nursery.Thanks for sharing your creativity with us." Heather chose Cantaloupe Prosciutto Skewers with Mozzarella and Tomatoes from Pink Heels Pink Truck. "Tater tot nachos = totchos? Yum! We love our Cuban sandwiches here in SWFL, and I look forward to trying this with a healthy squirt of yellow mustard." Natasha chose Being a Type A Mom + Four Tips that Help Me from Stitches & Sunflowers. "I am definitely a Type A Mom, but I am working on getting better. These are some great tips! Thanks for sharing!" Natasha chose 13 Ways To Disconnect So You Can Reconnect What is Important from Uplifting Mayhem. "It is so easy to stay connected and lose touch with yourself, your family, and everything else. But it is so important to disconnect and reconnect with those most important to you. Thanks for the reminder! Great post!" The post with the most views is Sweet Cream S'mores Ice Cream Pie from The Real Thing with the Coake Family. Happy 4th of July Weekend and Welcome to the Over the Moon party. Hope you are having a wonderful weekend with family and friends and just enjoying your time. I love love for you to stop by and share your posts with us. I love decorating for the 4th, do you? We are camping but that doesn't mean I can't decorate our campsite. Right? I tried to make items that would travel well and not take up too much space. We had a palm tree right beside our campsite that was the perfect spot to place my 4th of July decor. Happy 4th of July Weekend and welcome to another great week at Happiness is Homemade Link Party!! !